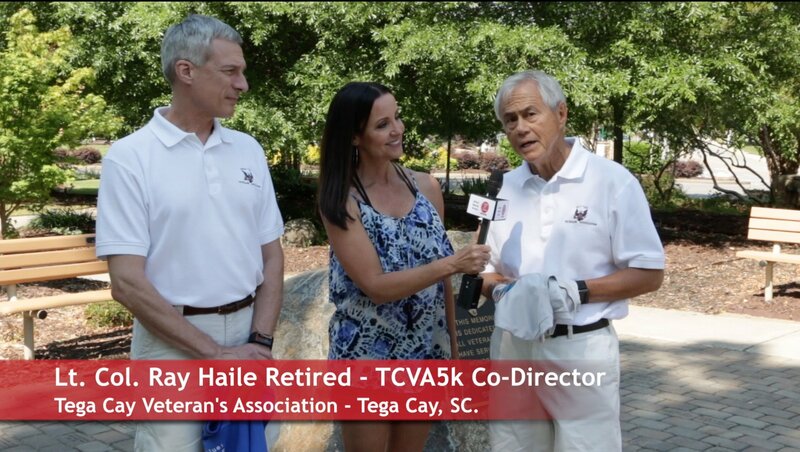 The Tega Cay Veteran’s Association is hosting their Annual Memorial Weekend 5K Run or Walk. The 5K event begins at 6 pm on Sunday, May 27th. Everyone is invited to participate. Participants can register to run at tcva5k.racesonline.com. Also, on Monday, May 28th, the Wear Blue Run To Remember Community is hosting a Memorial Day morning run. Talk of the Town Carolinas host Patti Mercer talked to race directors Lt. Col. Retired Ray Haile and Lt. Col. Retired Todd Puhrmann to talk about both events. There is a new course-along Tega Cay Drive with no super steep finish. Participations will receive a new dry-Fit shirt. The Shore Club Restaurant (clubhouse restaurant) will provide food and beverage discounts to race participants. SONIC REWIND (70s and 80s Rock Band) wil be providing free entertainment after the run. Tega Cay Veteran’s Association dog tags will be issued to top runners. Also, Join the Tega Cay Veterans Association ‘s Memorial Day Ceremony at the Tega Cay Living Memorial Gardens May 28th at 10 am.